Hôtel proche d’ Avignon zimmer bagnols sur ceze,bed and breakfast avignon,bed and breafast bagnols sur ceze,zimmer avignon | Votre Hôtel à 16 km d ‘Avignon 84000. 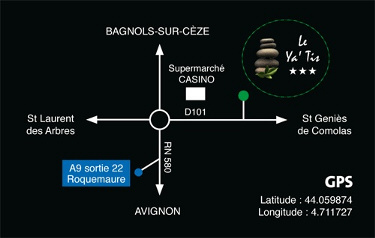 Hotel design proche Avignon pas cher. Hotel avec parking gratuit à 10 mn d’ Avignon, Hotel Avignon, encantadora Avignon, alojamiento Aviñón, Provence, Aviñón, Chateauneuf del Papa – Hôtel design 3 *** Le Ya’Tis. Hôtel à Saint-Laurent-des-Arbres. You’ll fall in love with this exceptional city located in the department of Vaucluse (84)! 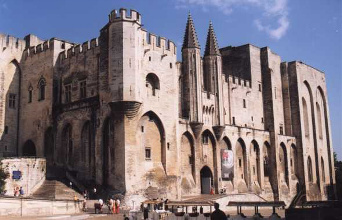 Grown to become European City of Culture in 2000 and with an architectural World Heritage of UNESCO, Avignon is a must in our region, the Provence. Among its many attractions, ramparts encircling a bustling city center with numerous terraces and good restaurants, the majestic Popes of Palace and its famous Festival, which every year in July, brings the music and theater to honor in the heartof the city.